We offer RBEM-2,5 bitumen emulsion sprinkler to companies and organizations involved in road construction, maintenance and repair. RBEM-2,5 can be used for transportation of bitumen emulsion from storage facilities to construction sites and for subsequent laying of the material with a special rod. The principle of operation of the sprinkler is based on the spraying large volumes of bitumen emulsion. Spraying machine consists of gear pumps proportionate with the rod to which they are attached. The power of internal combustion engines corresponds to the requirements of the technological process. The bitumen emulsion sprinkler cistern provides heating and maintains optimal temperature of the binder due to the presence of burners operating on liquid gas or diesel fuel. GlobeCore equipment is produced both commercially and custom tailored. Commercially produced models of bitumen emulsion sprinklers can be purchased directly from the warehouse. Individual order is produced within 45 working days. GlobeCore production facilities are situated in Oldenburg, Germany. Commissioning of bitumen emulsion sprinkler RBEM-2,5 can take several days. The sprinkler can be delivered anywhere worldwide. If necessary, our specialists will perform start-up of your bitumen emulsion sprinkler and train the staff of your company. The warranty period is 12 months from the date of putting the product into operation. The owner of an enterprise or organization involved in road construction, repair and maintenance. It will help you save on over-expenditure of construction materials. It is an effective solution, capable of economizing and generating stable profits. In this case bitumen emulsion sprinkler RBEM-2,5 is just what you need! A supply department manager. It will help you please your management by finding the best deal on price and quality and by establishing and maintaining a relationship of trust with our company. In this respect, GlobeCore is an exactly right choice for you: over the years, our company has established really friendly relationships (both corporate and personal) with our customers. A master of a construction site. 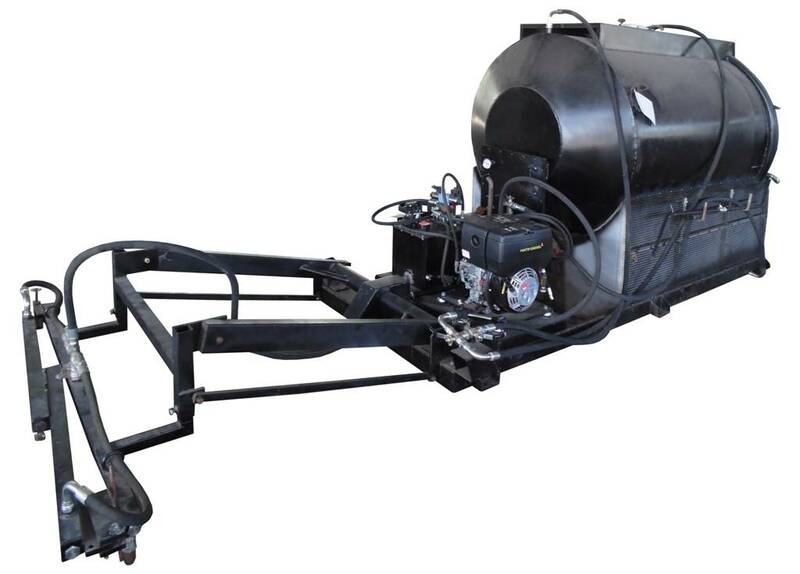 It will help you coordinate the process of bitumen emulsion transportation and laying surfaces. It has never been so easy! GlobeCore bitumen emulsion sprinkler allows you to combine the transportation and spraying processes, which saves precious time, which is never enough when performing large volumes of work. It gives high-quality spraying of bitumen emulsion, which fully complies with all building codes and standards. It uses bitumen emulsion as economically as possible without any loss in quality of the work performed. It helps to do the work in short terms. GlobeCore bitumen emulsion sprinkler RBEM-2,5 helps solve these tasks! We’ll produce the sprinkler and launch it at your operation site. full compliance with existing norms and requirements.